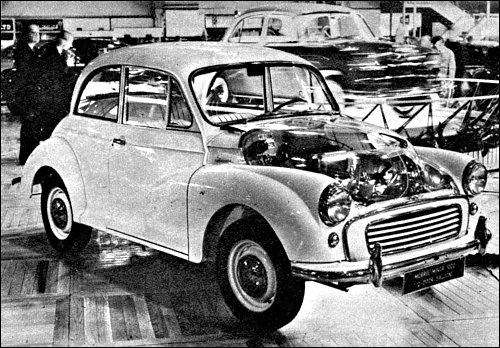 Minor MM series II – end of prod. Oxford II – end of prod. Isis II jest modernizacją modelu wprowadzonego w ubiegłym roku z nową maską i tylnymi lampami. Podobną kurację odmładzającą przeszły Cowley i Oxford. Cowley jest próbą pogodzenia niskiej ceny z mocnym, półtoralitrowym silnikiem. 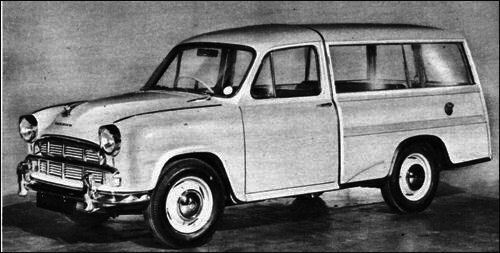 Dostępny jest z czterobiegową lub półautomatyczną skrzynią biegów. 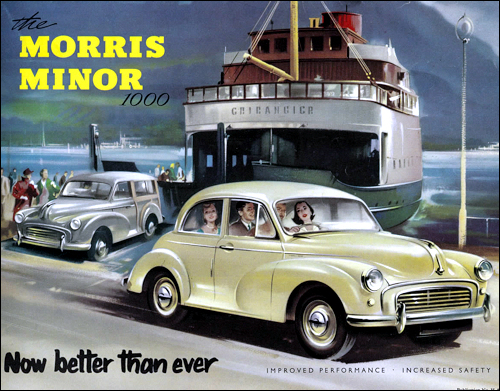 Morris Minor 1000 is a replacement for the 1948-56 Minor. This more powerful version features a 948-cc 37-bhp engine, close-ratio gearbox with sports type remote-control change, and a higher rear axle ratio. 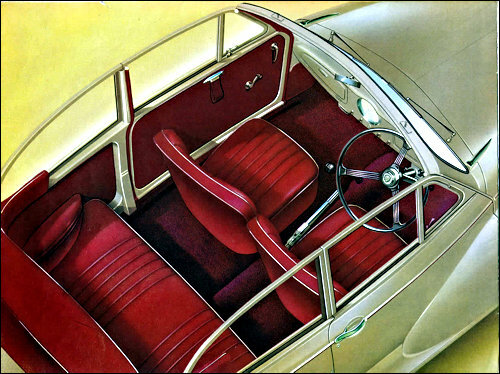 The appearance is changed by the introduction of a large one-piece curved windscreen and matching rear window, and the interior improved by the fitting of lidded facia glove boxes and a deeply dished steering wheel. 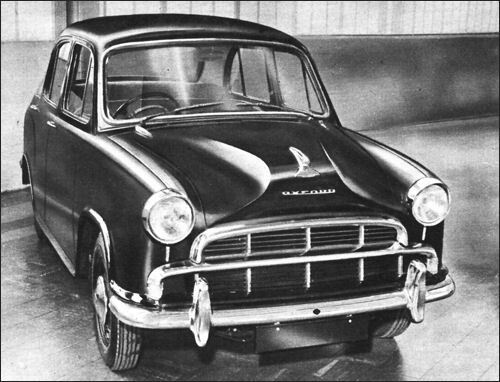 Minor 1000 two-door saloon with transparent bonnet at London Show in October. 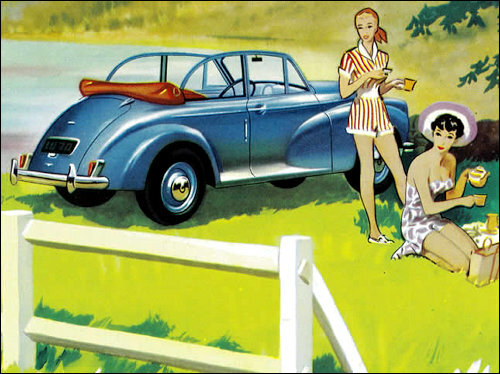 Morris Cowley 1500 Saloon is uprated by the adoption of the 1489-cc 55-bhp B-Series Oxford engine. 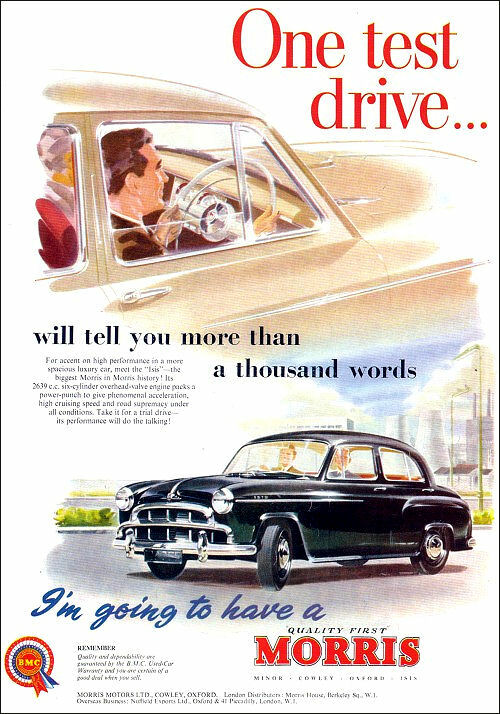 It is distinguished from the preceding 1200 version by restyled bonnet and rear wings, redesigned facia and a dished steering wheel, but remains slightly less well equipped and thus cheaper than the Oxford, which is similar in overall dimensions. 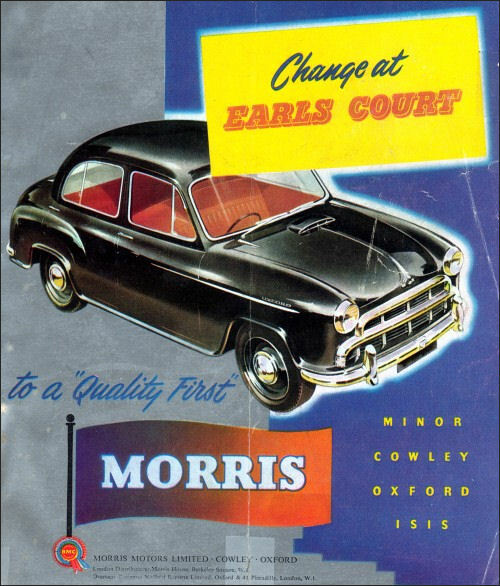 Oxford s.2 - October '55 advert. 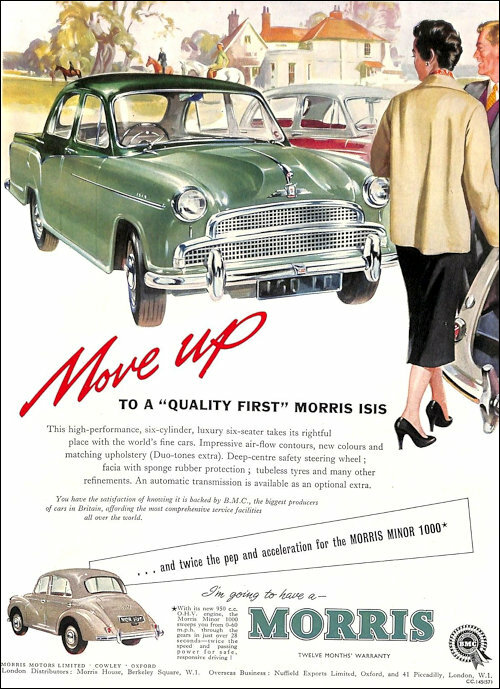 Morris Oxford Series III Saloon features revised body lines and fittings, modified interior and increased engine power as a result of raising the compression ratio from 7.15 to 8.3 :1. 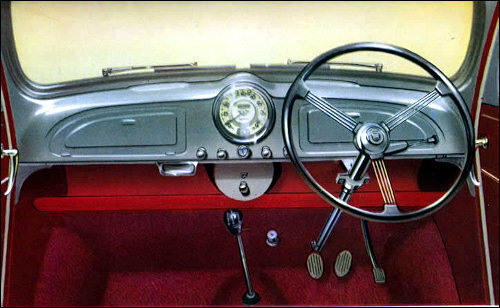 Manumatic two-pedal control is available on the Saloon but not on the Traveller estate car. 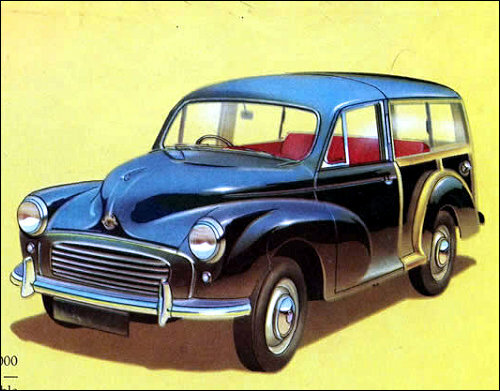 Morris Isis Series II Saloon. 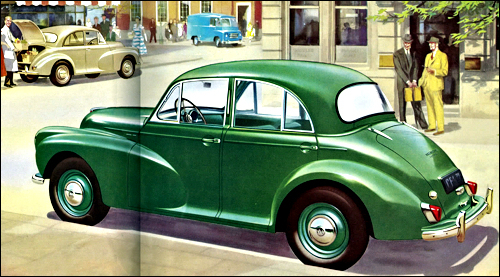 Top of the Morris range this six-cylinder car features among its list of modifications a restyled bonnet with curved fluting-as on the Cowley and Oxford restyled rear wings and lights, a mesh grille, added brightwork, revised interior and a floor-mounted gear-change. 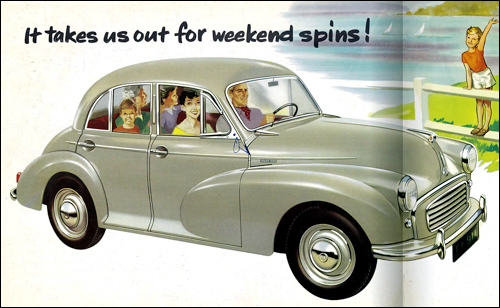 Automatic transmission is optional. 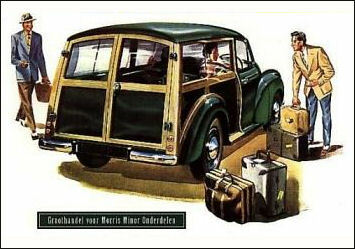 A Traveller version with 65 cubic feet of luggage space is also offered.